Adorable crystal ball Earphone Jack Accessory has been added to the Plug Apli series.The twinkling 3.5mm headphone dust plug features a ball pave with Swarovski crystals. 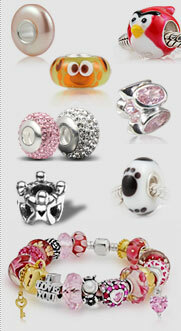 Many gorgeous color crystal beads to inlay for you! Each Czech Crystal Ball earphone jack plugs are made of Swarovski crystal bead, high class plastic and alloy Connector. Easy to install and remove. The special design styles and shapes brings safty and also adds some fun to your iPhone. Those earphone Plug Charms is a versatile accessory that can be used virtually anywhere a 3.5mm jack existed. For example your iphone, smartphones, tablets and devices equipped with a 3.5mm earphone jack. So beautiful and useful the earphone jack plugs, Various of color Crystal ball beads or dangle charms earphone jack plugs wholesale. It's compatible with any smartphones and audio player with 3.5 mm earphone jack. 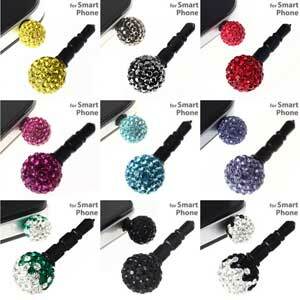 Not only will it prevent your earphone jack from getting dust, cute earphone jack plugs filled with sparkling crystals made by Swarovski also makes an elegant decoration for your smart phone. DoodaJewelry online store supplying kinds of earphone jack plugs, crystal ball earphone jack plug, cute earphone jack charm accessory (decoration with hello kitty, Crown, cat, nyanko), iphone earphone jack accessory, 3.5mm earphone jack plug, earphone jack cover, earphone jack accessories for your smart phone, anti dust earphone stopper jack plug, headphone jack plug charm, plug in earphone jack accessory. Lovely shape to decorate your cell phone, also decorate your mood. Here are some many earphone jack plug accessories , crystals and rhinestones, fashion jewelry charms, or simple plastic screw earphone jack plugs accessories, which looks sparkling and glaring. 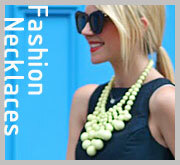 You can inlay your interest colors crystals with our sparkling crystal beads and other accessories. use your imaginations to make more miracles for your cellphone.